Oft forgotten middleweight champion Robert Whittaker will defend his title against surging Kelvin Gastelum at UFC 234 in February. Gastelum’s last two wins were big ones coming out on top against former champ Michael Bisping and standout Jacare Souza. 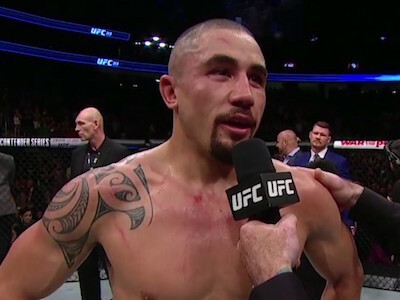 Whittaker is coming off of back to back wins against Yoel Romero with the first being for the interim middleweight championship and the second being a defense of it. Okay, technically it wasn’t a defense because Yoel came in over the weight limit making at a non-title. However, we are finally getting a proper official defense which was announced via an Instagram post from the UFC. Who do you think takes this on February 9, 2019? Kelvin or Robert?